Today is my Granny’s 96th birthday, so I wanted to share the card I made for her with you this evening. I’ve been loving all the white with a splash of colour cards I’ve seen on Pinterest, so this is my take on the look. I started out with the Creative Expressions ‘Striplet – Floral Meadow’ die and I wanted to have it repeated 3 times, so it was going to have to be an 8×8 card to fit them in. I used Whisper White card that I cut down to fit on an 8×8 card and had to measure it all out to get even spacing of the striplet sections. I wanted the pop of colour to come from sequins peeping through the floral meadow design, so I cut some acetate to the same size as the card and attached to the back with red double sided tape. I wanted to have double height foam pads and I used the Sellotape foam tape roll cut in half as it was too wide to go around the windows and doubled it up. To mirror the colours in the sequins I used watercolour card and my Tim Holtz Distress Inks and blending tools in ‘Peeled Paint’, ‘Shaded lilac’ and ‘Tumbled Glass’, then die cut the sentiment using the Cheery Lynn ‘Happy’ and ‘Birthday’ sentiment dies. I felt the front of the card was still too white, so I attached sequins to the flower centres. 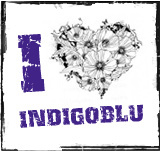 To continue the colour scheme inside the card too I inked up the IndigoBlu stamp from ‘Mr Fan-tach-tic’ set in Stampin’UP! inks ‘Lucky Limeade’, ‘Wisteria Wonder’ and ‘Pool Party’. Big crafty hugs for stopping by my blog, I hope your week goes well!